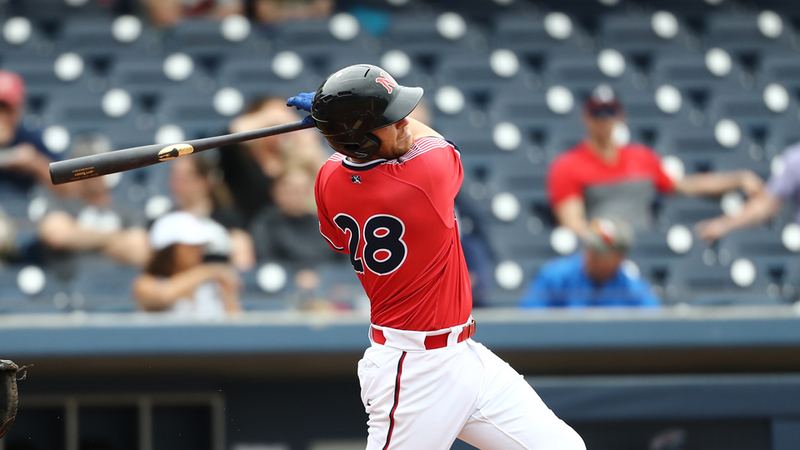 The Nashville Sounds ended their road trip with four home runs and win on Monday, defeating the San Antonio Missions 10-5. Jett Bandy evened the score at 2-2 when he blasted a two-run home run in the top of the second inning that also scored Matt Davidson. It was Bandy's second home run of the road trip. Both teams scored in the third inning. Nashville scored three runs in the top-half with a two-run double by Davidson, who was then knocked in on a single by Nolan Fontana. San Antonio responded immediately in the bottom-half with a two-run homer by Lucas Erceg. The Sounds were still up 5-4. Leading off the top of the fourth for the Sounds was Hunter Cole, who hit a home run to left field to make the score 6-4. It was his first hit of the season and his first career hit with Nashville. The Missions scratched across a run in the bottom of the fifth when Tyler Saladino grounded out to score Hiura to make the game 6-5. Brett Martin relieved Sounds' starter Ariel Jurado in the sixth inning and threw 2.0 shutout innings. Martin allowed two hits in each inning, but the Missions failed to score. Nashville added four insurance runs late. Davidson hit a solo home run in the eighth and Willie Calhoun hit a three-run homer in the ninth. That would be enough to finish off San Antonio as Nashville won 10-5. The Sounds finish with a 3-4 record on their first road trip, including a 2-2 series split against San Antonio. They return to Nashville Tuesday night for a seven-game homestand, starting with Round Rock in the first three games. Sounds' left-hander Wes Benjamin (0-1, 5.87) is set to face off the Express' right-hander Brady Rodgers (0-0, 0.82). First pitch is scheduled at 6:35 p.m.
- With today's 10-5 win, the Sounds are now 4-8 on the season. - With Ariel Jurado striking out seven batters while walking none, he now has 15 strikeouts to one walk within 16.0 innings this season. He is 2-0 this season. - Nashville's bullpen threw 4.0 shutout innings, leaving seven batters on base. - Matt Davidson's three RBI put his total to seven in the four-game series against San Antonio. He went 5-for-15 with two home runs in the series.